Please keep in mind that this is a family friendly event, so drive and behave responsibly (including disposing of rubbish). Poor behaviour will not be tolerated. Thanks again to the following businesses for their ongoing support. 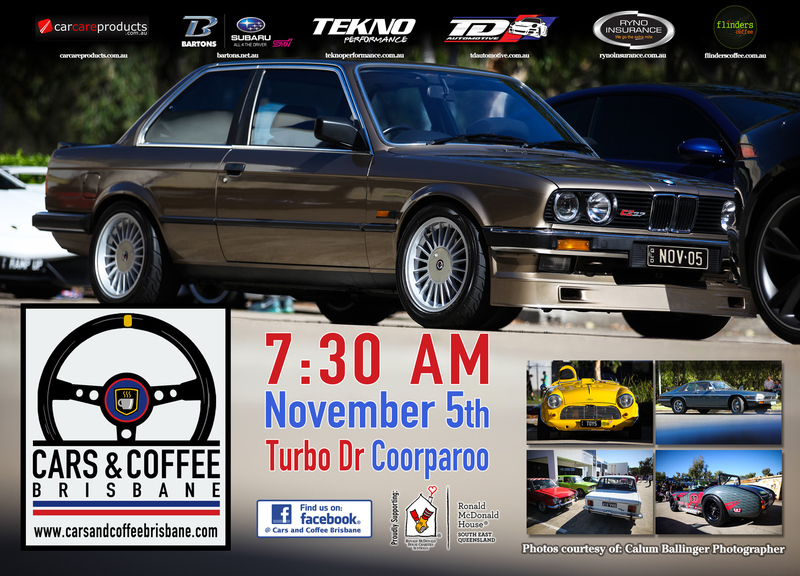 TD Automotive, Ryno Insurance Services Pty Ltd, Car Care Products, TheDetailing Studio, Bartons Bayside, Ronald McDonald House South East Queensland, Tekno Performance, and Flinders Coffee. There are some local businesses trading on the weekend, so refrain from parking at The Bone Clinic at 26 Turbo Drive, or the Florist at 2/54 Turbo Drive.